I have been spending a bit more time in front of a computer and a bit less time in the woods than I’d like but I’m just trying to get all the behind the scenes admin sorted out. To that end, there are a couple of forms that participants will need to fill in on their first session. 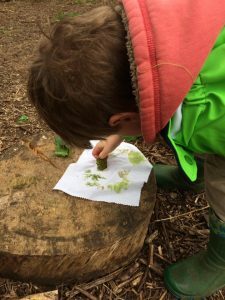 I will bring forms to the session, but anyone who can download them from the links here, fill them out and bring them along or even email them to info@wildbeeforestschool.com in advance will save a few minutes of form-filling in the woods! See you next Thursday – Rock Edge, OX3 8NE – at 10am.